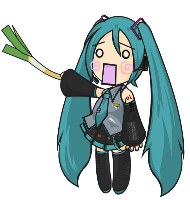 I am hatsune_miku. I used to play games when I was younger and wound up here like everyone else. Nice to meet ya. btw, it seems that you've joined in phebruary, why the introduction now?